Evergreen, height to 30cm. Semi-hardy, can withstand sub-zero temperatures for short periods if dry. 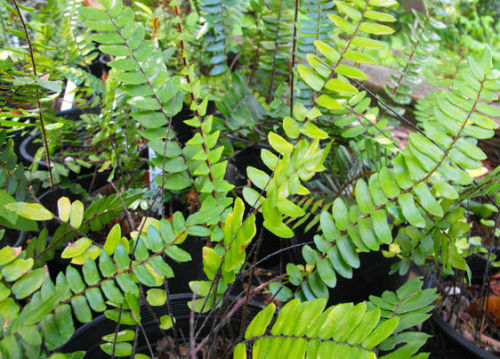 A vert attractive fern for the house or conservatory, could be worth a risk in mild areas sheltered from winter-wet. The fronds are upright with distinctive pinnae which taper to a point nicely. Keep compost on the dry side but don't allow to dry out for too long.